What a beauty. Docked, at a port on Lake Ontario, just steps away from downtown Toronto. Container ships don’t usually pull into this particular port. I mean, not at this particular spot, which is so close to the road that, as I drove by, I could actually get this shot. 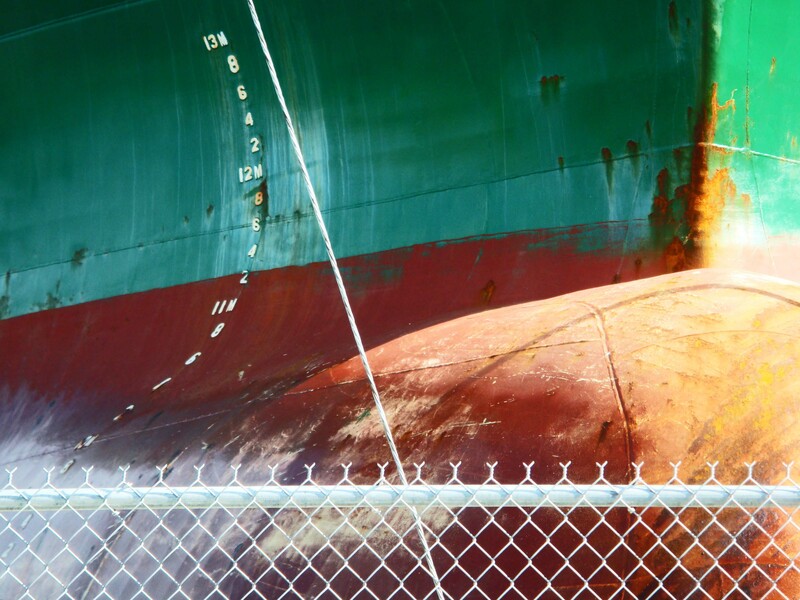 The prow of the ship almost touching the chain linked fence that separated public space from the industrial space where a ship can deliver its cargo. What a discovery. Built in 2007, to carry nearly 35,000 tons of cargo, it flies the Cyprus flag. And, all of it, parked as though it were a row-boat pulled up to shore. A container ship. Imagine. What magnificence did it contain? Where had it come from? How long would it stay? What stories it could tell! But, all of it a mystery, as the vessel sits silently at shore. A container of goods. A container of good. A container for imagination. A container contained, for now, on the shores of Lake Ontario. Another in the series, ‘Drive By Photography’, where I take a photograph from my car while waiting for the light to change.